David Cairns is Chair of Right School Right Place, a residents group formed in 2013 to oppose the selection of this site in Batford for a secondary school. 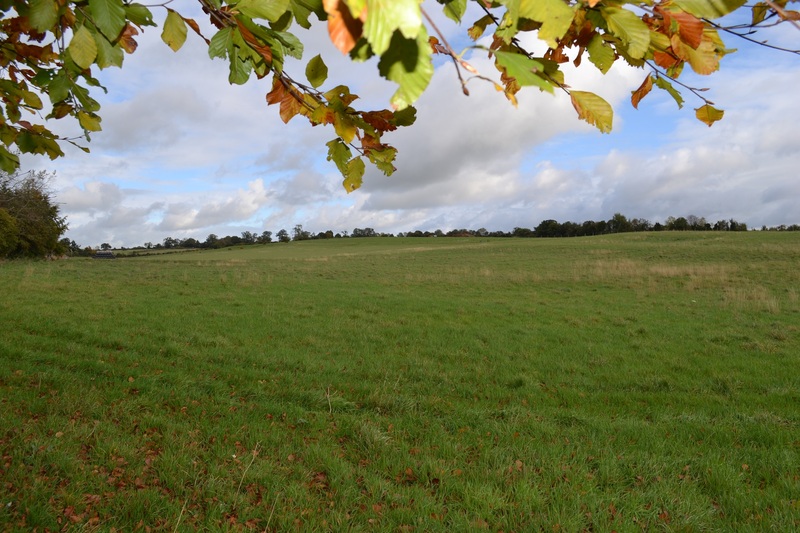 Recent press reports imply that I have stopped the campaign to preserve Batford Farm Fields. This is incorrect and does not reflect information sent to the press. David Cairns is fundraising to cover the costs of a legal challenge in the High Court to the decision by Hertfordshire County Council dated 15 March 2018 to grant themselves planning permission for a new secondary school. David is bringing this claim because he strongly believes this is a bad decision for Harpenden, Hertfordshire and its people, but also because he wants to safeguard the interests of all local residents. He is chair of Right School Right Place which is the name given to the residents who have worked together since 2013 to oppose the selection of this site for this school. Despite evidence and objections from residents across the planning area, as well as their own departments, other Councils and organisations, HCC granted planning permission in 2018. 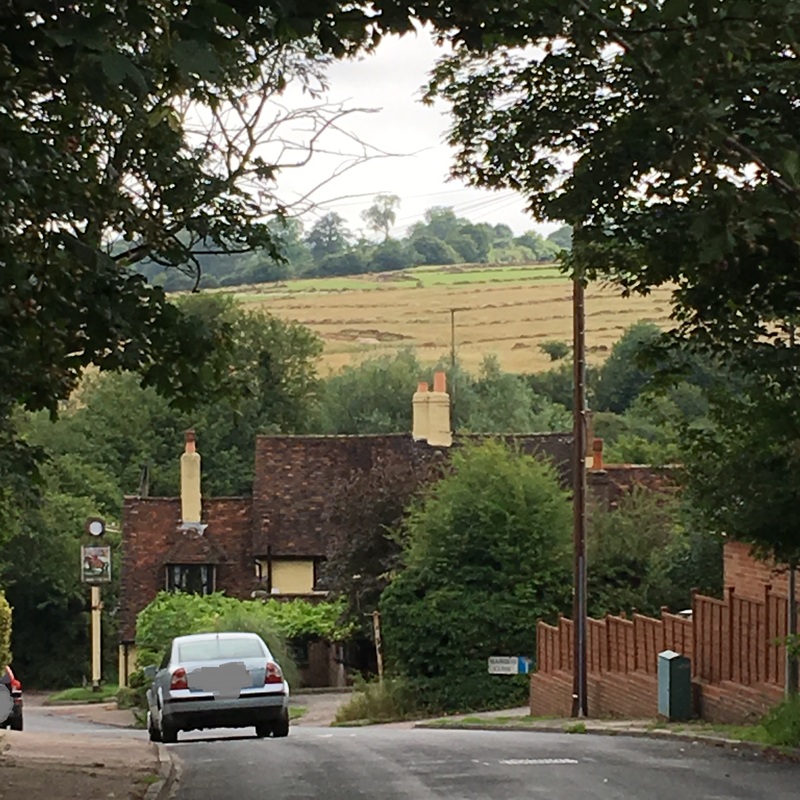 Some of the many issues include evidence of and distance from school place need, traffic/road safety, topography, highly significant archaeology, urban sprawl (Harpenden/ Wheathampstead) & irreparable harm to Green Belt in a Landscape Conservation Area. The plan not only displaces long-standing cattle farming on a highly prominent Green Belt site, but is so close to existing schools and so far from potential families in need, that most pupils will need to travel some distance by road to reach the school. This in turn adds significant traffic to an already congested, over-capacity and dangerous B-road bottle-neck. The route is even deemed too dangerous for pedestrians and as a result the DfE, through the Education and Skills Funding Agency (ESFA) made a highly unusual/ last-minute undertaking to fund bus transport costs until the school is fully occupied. The Council improperly took into account its Green Belt designation; the harm to the openness of the Green Belt would cause and its consequent low land value as a factor in favour of developing the site and thereby failed to properly apply Green Belt policy protecting its openness. The Council failed to properly consider the question of the need for school places and transport, including local traffic implications. For example, they built their case on school place data and analyses that they have already identified as flawed, yet failed to correct. These previous failings have already seen inappropriate decisions taken elsewhere in the County and have potential to do so again. I have engaged Downs Solicitors LLP and Counsel, Mr Alexander Goodman of Landmark Chambers to represent me in this action, which has tight time restrictions and is further compounded by the ESFA requesting an ‘expedited’ hearing. The case has now been listed to be heard in the High Court on 10th and 11th July 2018. In 2013 the Council announced their intention to use compulsory purchase (if needed) to acquire the farmland but they did not make this process clear to local residents, only making their intentions known when it was too late to challenge. Residents subsequently also discovered that the Council had both identified the site and been planning this purchase for a number of years before going public. In 2017, HCC launched a planning application immediately after making a last-minute land purchase, thus enabling HCC to hear their own planning application. The Council had to twice extend public consultation due to issues with information supplied as part of the application and it would appear that the council failed to take all relevant information into account when reaching their decision. Within a week of HCC’s decision to grant planning permission (previously declared urgent so as to meet a September 2018 opening target), the school postponed its opening by 12 months. This decision was well before the legal case had been registered. Now, in the face of a case where their actions can be examined in court, the Interested Party has requested an expedited hearing citing potential risks to the timetable they themselves delayed. The plans not only very significantly affect some people who live in the shadow of the proposed development but equally affect residents and road users from a very wide area. 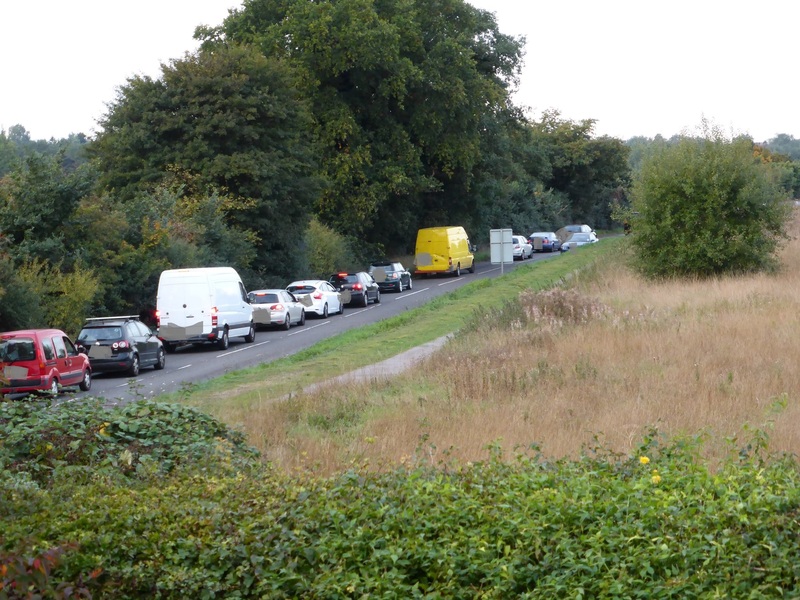 The traffic impact and travel costs are predicted to be significant for a school which has no demand in its vicinity, and for which substantially more sustainable solutions have been ignored by the Council. David Cairns is the Claimant in this matter and is also the chair of Right School Right Place (RSRP) which is a residents group formed in 2013. He is seeking support towards legal costs incurred in pursuing this Judicial Review claim. The case is moving rapidly and Mr Cairns has found his claim is being contested not only by Hertfordshire CC as a Planning Authority, but now also by HCC as an Interested Party together with the Department for Education through the Education and Skills Funding Agency. While all three are entitled to contest, they are introducing new arguments (and additional costs). Combined with the request to expedite/have a rolled-up hearing (on grounds of urgency) in July 2018, this means that costs are not only increasing, but need to be met quickly in order to ensure a full presentation of the case. I am therefore seeking funding by early July. The initial target will go towards Counsel’s costs and court fees. The stretch target will then continue to support Counsel’s costs in the first instance, plus the legal team's costs when that amount has been reached. Your donations will be paid over by Crowdjustice directly to the solicitors. Thank-you. I despair of the decision. Absolute madness to have a school located there. We have been advised that the request to Appeal (the JR outcome, which related to the proposed remedy for the failing that was found) has been declined. The Appeal decision was ratified on 25 September 2018. We are aware that this legal avenue to directly challenge the Planning Decision is exhausted. The extreme disappointment and disbelief in this decision is being felt and expressed across the wide area that includes Harpenden, neighbouring villages and beyond, and RSRP echoes that disappointment. It is worth re-stating that the JR and Appeal could legally only deal with the planning application process and whether matters are deemed to be within the judgement of a Planning Officer. In this context, the process could not and did not examine the quality of evidence provided, promises made and broken about site purchases and the lack of due process or appropriate consultation along the way. Significant failings were identified – notably the failure by the Planning Officers to require an Environmental Impact Assessment, the reason for which was described by the Judge as ‘inexplicable’; the omission of which meant not just Archaeology but a number of other aspects were not examined as they should have been. This omission has yet to be put right and so far HCC has not been held accountable for its bad practice in putting the proposals forward. This could not be challenged as part of the Judicial Review/Appeal process as it is not within the responsibilities of the Planning Process. RSRP are committed to holding the Council to account for all its actions and failings. Some elements of this had begun before the Court case and were put on hold during the JR and Appeal phases. Further work will now resume on holding HCC, its Officers and Councillors (who failed to represent their constituents) to account. With legal fees still due, I can't thank you enough for continuing to support this important issue - so many people over a very wide geographic area have voiced concerns and support to date through a variety of routes. I have little doubt that HCC will try and ignore their publicly found failings and will seek to carry on regardless. It is RSRP’s and my contention that they should be accountable and that others who will inevitably be subject to similar schemes across Herts in the future deserve the protection that will only come from holding taking Council to task. This may inevitably involve further legal proceedings, with all their incumbent costs. If you can, please continue to share/support fundraising - perhaps email (message, WhatsApp etc.) five friends, share on Facebook/Twitter and ask for support - every £ makes a difference. Thank-you for being part of this important campaign. Significantly the good news is that permission for a Judicial Review was granted on all three Grounds. The Review then found the claim in Ground 1 was justified and an Appeal has been lodged. I can't thank you enough for supporting this important issue - so many people over a very wide geographic area have voiced concerns and support to date through various routes. What’s happened since the Hand Down on August 2nd? Appeal papers were lodged with the courts on 9th August 2018. Further updates will report on this as soon as possible, within the limits of the court process. What happened after the earlier (July) hearing? On Thursday 2nd August in Court 18 at the Royal Courts of London before Mrs Justice Lang, a brief Hand Down summarised the recent ruling regarding into the claim against the grant of planning for the proposed 4th secondary school for the Harpenden Planning area. The original claim had 3 Grounds (reasons, in lay terms). Since then, the full ruling has been made available through the standard court database and document system. The Review then found the claim in Ground 1 was justified. In finding against Herts County Council (HCC) Planning Department, it confirmed that HCC had failed to act properly in considering the application. The core of this finding relates to assessing environmental issues and particularly overlooking the site archaeology. These topics had attracted significant interest in the consultation process, particularly for the archaeology, with acknowledged wide significance. Despite this, the Judge went on to use discretion to deem that no different outcome would have occurred had the Council’s Planning Officers acted correctly, and refused relief. The “relief” that had been requested was that the planning application be quashed, which would in effect require the Council to re-run the application assessment correctly. In this case it would mean preceding the formal planning application with the environmental assessment they should have done. In refusing relief the Judge effectively declined the option in her discretion to require a matter to be carried out correctly in the public interest. Although the JR conclusion has confirmed arguably very significant failings on the Council’s part, it did not provide what many would consider a satisfactory outcome, through either thorough investigation of key issues or by requiring appropriate remedies to correct the Council’s errors. There is a general right of appeal. Following a request by one of the other parties, the (perhaps expected) 21-day Appeal timeframe was shortened to an extremely tight 7 days, with a 9th August deadline to analyse the ruling and decide next steps. As a result, the appeal was lodged. Thank-you to everyone who has been watching and supporting this important case. Legal costs associated with bringing the case remain due, if you can, please continue to support this important story, share the funding link https://www.crowdjustice.com/case/save-batford-farm-fields/ and encourage your friends and contacts to contribute, every £ makes a difference. A story that started before 2006 and remained hidden from local residents until September 2013 reached yet another milestone at 10.15am on Thursday 2nd August in Court 18 at the Royal Courts of London before Mrs Justice Lang. Just 15 minutes were allocated to the case labelled ‘CO/1681/2018 The Queen on the application of Cairns v Hertfordshire County Council’ for a brief Hand Down that provided only a limited statement, read out to the court. In practice, the complete (more detailed and complex) ruling will be made public at a later date. Therefore at this time no further comment can be made without both access to the complete verdict text and the time to review it in some detail. The Hand Down followed a 2-day Judicial Review (JR) Permission Hearing some three weeks earlier in the same Court. The Court had at that time considered first admissibility of some material presented just prior to the session and then moved on to the key questions of whether a JR was to be granted and the JR Hearing itself, as required for a rolled-up hearing. The Court stated it considered the new information to be relevant and allowed that to be formally submitted on the first morning. At that time the Court moved on to hear representations from legal teams representing the Claimant, David Cairns, the Defendant (HCC’s Local Planning Authority) and both Interested Parties (Herts County Council - HCC Education and the Secretary of State for Education – ESFA as the Applicants). The case was brought against the Local Authority Planning function and was contesting how they handled the Planning Application. During the Hearings no comment was made by the Judge as to whether permission for a JR had been formally granted, so the Hand Down is initially the outcome of a permission hearing, which if granted, will then use the same evidence to determine the JR. The Hand Down Summary read out on 2nd August indicates that the Grant of Planning Permission will be allowed to stand. David Cairns, Right School Right Place and many thousands of residents are understandably deeply disappointed in this result, but are awaiting the full ruling in order to assess implications contained within the detail. In particular this transcript will determine what further steps are appropriate, necessary or available. This could include formal challenges and RSRP will consider the position within the time specified by the Court where this is appropriate. The complex implications inherent in the brief initial Hand Down do not as yet offer a clear path ahead for residents or the Council and it will be necessary to study the full ruling in some detail before further comment can be made. The initial understanding of the Hand Down Judgement is that the Court has found failings on the part of the Council, yet has indicated that it is prepared to allow the planning permission to stand despite these acknowledged failings. Clearly a ruling that appears to allow the Council/DfE to build in such an unsuitable location is deeply disappointing for thousands of residents across Harpenden, the villages and further afield. The implications of what could be classed as a ‘hollow victory’ will need to be carefully assessed in the short time available for some responses. 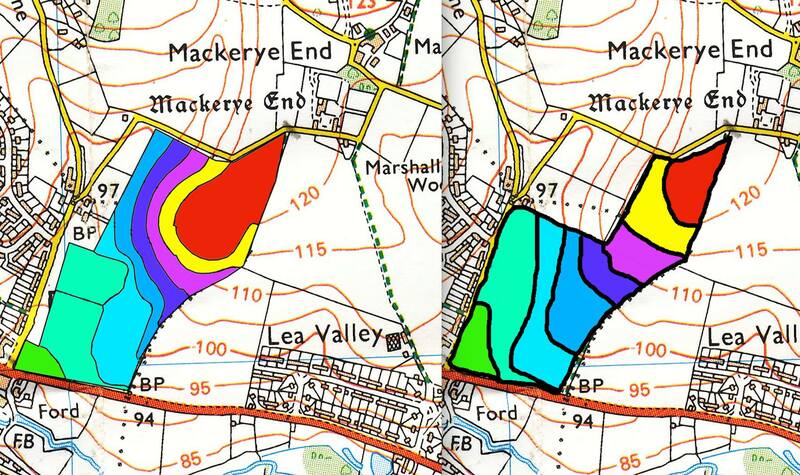 Herts County Council have previously said that they can’t wait to get bulldozers on site. However the ruling, in respect of implications for treatment of the potential archaeology on site, at least offer some hope that the Council will honour and respect the important history present in as yet unknown locations across the site. Perhaps we can hope that the archaeology alone may prove pivotal in finally forcing HCC to build elsewhere. The Court has specific time frames for such Appeals, and any such appeal would require RSRP to consider its input to that process. Any appeal or further pressure by HCC at this stage, however, would just re-confirm the inequality already inherent within this entire saga to date. Let us hope that HCC see sense, decide to listen to their communities and look for appropriate schooling that benefits its residents on the more equitable basis that RSRP has campaigned for throughout. In that case it is further hoped that HCC move to return the field to farming, as they promised so many years ago. Inevitably further action will need to be considered to address the wider systemic failings of the Council, but the immediate need is to address the irreparable damage of what many believe to be an ill-informed planning decision. With so many believing this is a bad decision for Harpenden, Hertfordshire and its people, David Cairns, Chair of Right School Right Place, launched Judicial Review proceedings – the only potential remedy to a grant of planning permission. It was not a decision he took lightly but on top of the actual school build proposal, he wanted to safeguard the interests of all local residents. In reality HCC’s cynical treatment of its residents saw repeated denial of opportunities for involvement despite Localism requirements and promises of transparency. The Judicial Review was the only remedy available to address Planning decisions and as such addressed the Planning Authority function of the Council, where the outcome of persistent mistreatment of residents materialised. Many local residents see this as a fight for local identity, with many wondering just why Herts County Council seem so focussed both on this unsuitable site and on overriding local communities. Their attempt to build a school on a dangerously overcrowded road is arguably about as far from actual need as it is possible to get in the planning area. Further information will follow shortly. As always, thank-you to you and the many many people who are behind this JR and affected communities, either publicly or privately. Earlier in the month saw 2 days of proceedings in London, it was all a bit busy, and this late update really relates to those 2 days 10th 11th July. Although this formal stage is complete, I'm continuing to work with others in our near and far communities to keep people up to date and look at what happens next. The Judge has begun consideration of this evidence, along with the submissions made in Court, in private. Once the Judge has completed her deliberations a judgement to address all aspects of the case will be handed down. I am really pleased to have been allowed to present concerns to an independent body for the first time over 5 years. Much of what fell for consideration in the Court case could have been addressed much earlier, and with much less cost to all parties, but for the belligerent attitude of Herts County Council and the unwillingness of key Councillors to listen to and represent the concerns of their residents. As stated previously the JR addresses the immediate narrow question of Planning Permission and as such only seeks to challenge the role of HCC as a Planning Authority. It cannot and does not seek to address the role of HCC as an Education Authority (or in any other general terms) and that is a separate matter that is being pursued. More news will follow shortly. I can't thank you enough for supporting this important issue - many thousands over a very wide geographic area have voiced concerns and support to date through various routes and responded to funding appeals – there are still substantial costs associated with the hearings and appeals remain open to help address these and other future costs through the avenues outlined in earlier updates and other bulletins. Please continue to share/support fundraising for legal and related costs. Perhaps email (message, WhatsApp etc.) five friends, share on Facebook/Twitter and ask for support - every £ makes a difference. Again, thank-you to all supporters. Today was the first day in court. And a huge thank-you to everyone who has contributed recently – thank-you again. The fund swiftly moved through the 100th on-line donation to a fund total of almost £5000 and still rising in the last 24 hours. A day in court is certainly a financial challenge and we still have some way to go. David Cairns is in the Royal Courts of Justice on Tuesday 10th July for the JR Permission Hearing. There has been so much work going on behind the scenes to read and prepare papers. Several people are planning to go to London for the Permission Hearing. It is a rolled-up hearing, so if permission is granted, the main hearing will be scheduled ‘immediately’ although as yet it is not on the court lists and we're not sure exactly what immediately means in this instance. So all the focus is on this hearing in London, and fund-raising to cover legal costs. share your support in social media..
As always, thank-you so much for your support! Every £ makes a difference. Please help this important cause by spreading the word about the challenge, in whatever way you can. Thank-you. A huge thank-you to everyone who has helped and contributed to being almost half-way to David’s stretch target. Much of the ill treatment of residents by the Council can and will be repeated if the Council are not held to account for their actions. Help us to hold them to account now. Support this challenge. This case is important locally, to road users, to families in the school planning area, but also for the away school places are determined across Hertfordshire. David just wants a sensible solution to school places. It’s been a while since the last update, but it’s also been very busy. The legal team and volunteers have been dealing with the 3 sets of case papers from the defendant and interested parties. This means considerable time and cost in reviewing grounds, papers, taking care of the details. Skeleton arguments are now in preparation for the first court date, 10th July. This is the day when the judge will determine whether to allow the full hearing, so a lot rests on the preparations. The thing about a rolled-up hearing is yes, the whole thing will be determined quickly, which means quickest answers. The downside is that David must prepare for the full case, whether or not the full case is allowed on the 10th. This means that he must bear the full costs of preparing for and holding the hearing even if it doesn’t happen. Arguably this is more onerous for an individual than for the 3 much larger parties that are being challenged. are just some of the personal messages arriving off line. It’s become a real-life David and Goliath tale. The RSRP web site www.rsrp.co.uk holds extensive history and is being updated, albeit more slowly than facebook (search Right School Right Place). @RSRPBatford on Twitter is another way to share. Please help share the story however you can and raise even more support for this important cause. Huge and heartfelt thanks to everyone who has pledged and enabled David to achieve his initial target so very very quickly, within 3 days. Away from this Crowdjustice campaign, David has also been touched by the anonymous £5 and £10 contributions through the letter box. If he could thank those contributors too, he would. The 'stretch' target supports immediate costs associated with the expedited High Court hearing on 10th and 11th July (Counsel’s, plus legal team's costs) - necessary because David’s legal team must fully prepare for a potential full hearing, regardless of the Permission Hearing outcome. These last weeks have seen a lot of effort reading papers and preparing responses – with further preparation ongoing. His claim is being contested not only by Hertfordshire CC as a Planning Authority, but now also by HCC as an Interested Party together with the Department for Education through the Education and Skills Funding Agency. The Interested Party has requested an expedited hearing citing potential risks to the timetable they themselves delayed (1). This means that costs are not only increasing, but need to be met very quickly in order to ensure a full presentation of the case. (1) Within a week of HCC’s decision to grant planning permission (previously declared urgent so as to meet a September 2018 opening target), the school postponed its opening by 12 months. (This decision was well before the legal case had been registered). So, once again, thank-you so much for your continued support which is really really appreciated. Every £ makes a difference. Please help this important cause by continuing to spread the word about the legal challenge, and this fundraising, in whatever way you can. Thank-you.